Dave is playing a solo set at the OTPOR music series. Music starts at 830, Dave is on around 930 or so. Doors at 8, cover is $5. Summer is finally here and I'm celebrating with a solo performance at the Somerville Armory. If you haven't been there yet, it's a great listening room perfect for stripped down bands and solo acts. If you have been there already you should know they just recently got a beer and wine license. The show is early, so it's a great way to start off your Saturday night plans. I'll be playing some Logan 5 tunes and maybe some surprises as well! Joining me are two great performers, Shoney Lamar and Highly Personal Trash. See you there! 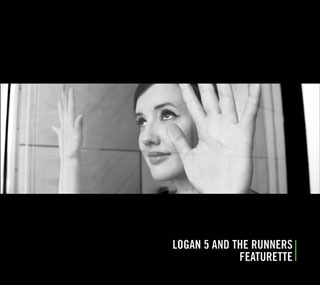 Logan 5 and the Runners will be appearing this coming Sunday at the historic Rosebud in Davis Square. If you haven't been there before, be aware there is a rather large club behind the dinner. Also playing will be the triple guitar assault of The Weisstronauts. This probably will be the last Logan show for a little while, as we take some time off to record and write some new material. Don't miss out! It's a 3 day weekend, so Sunday is the new Saturday. Next week we're very excited to be playing a special early show. Meet us next door at the cactus club for a before show drink, then head over to the club at 8! Next Wednesday we're taking part in a very cool night showcasing bands of local musicians who took part in last summer's One Night Band. Nick's band was called Battle Toadz; watch their now legendary performance here. Logan 5 has a YouTube Page. We're not the first, not the last.. but maybe the Loganist? We also have a video camera, so look forward to more live stuff after every show! 1st time playing with any of these bands, but we've seen em and they've got it going on!